It does not mean any change in the 4,000 inspectors assigned by FDA to inspect domestic and foreign facilities or to respond to consumer complaints. However, it does mean the Office of Regulatory Affairs (ORA) will no longer follow district office boundaries leading up to five regional bosses. Instead, inspectors will specialize on pharmaceuticals, medical devices, tobacco, biological drugs (made from living organisms including vaccines), protected research and data quality, and food. Gottlieb approved the “program alignment” shortly after the Senate confirmed his appointment as the 23rd FDA commissioner on May 11. The change has been four years in the making and the inspector reassignments are intended to help FDA implement the Food Safety Modernizaton Act (FSMA). The FSMA was signed into law by President Barack Obama on Jan. 4, 2011, but required five years of rule-making before FDA enforcement could begin. The move to align inspection staff by program comes as FDA is dealing with more complex products and regulations. FDA staff assigned to imports will continue to work across all program areas, while FDA’s 13 labs located around country will focus on specialties. 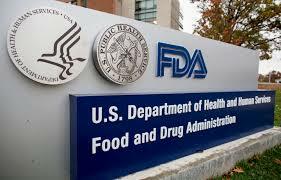 FDA staff will also now be trained to regulate the specific area to which they are assigned.